We have put together a list of recommended Affiliates that we work with which provide support in todays mobile marketing world. Each recommended Affiliate integrates seamlessly with your mobile app and or website and we believe each provide the most value for the money. We are proud to support Hello Gorgeous! We did a lot of research when it came to choosing our Gateway and merchant for our payment processing and we couldn’t be happier with Authorize.net as our gateway and Wells Fargo as our merchant. We need a reputable system made for mobile that would pay us next day and allow for reoccurring billing to our regular clients. Setup through AMG for an exclusive discount and offer made just for you, or contact us directly and we will get you started! When it comes to mobile shopping carts (eCommerce and mCommerce) there are many to choose from. We found Bigcommerce to be one of the best options available for the money. We chose Bigcommerce for its easy to use back office, clean and simple mobile responsive designs, great customer support and loved out how well the cart integrates with our Mobile Apps with plenty of customizability. Click the link to get started and we will help you get your mobile cart up and running! ChowNow is a complete online food ordering system in three simple steps that will seamlessly integrate with your AMG mobile app as well as your website and Facebook. Setup through AMG for an exclusive discount and offer made just for you! Genbook makes it easy for local business owners to offer online appointment scheduling to their clients. So easy that we schedule more than 650,000 appointments per month, helping local businesses earn over $500 million in new revenue each year. Setup through AMG for an exclusive discount and offer made just for you! Spa Booker is our recommended fully service booking and shopping cart system. Great for spas, barbershops and salons this system is mobile friendly and fully integrates with our mobile apps and websites. Key features include a robust booking system, customer management system, shopping cart, gift card system, customer support and Facebook integration. Save $50 off your setup fee by using the AMG discount code 80514335 with your Spa Booker sales rep! Uber is evolving the way the world moves. By seamlessly connecting riders to drivers through our apps, we make cities more accessible, opening up more possibilities for riders and more business for drivers. From our founding in 2009 to our launches in over 70 cities today, Uber’s rapidly expanding global presence continues to bring people and their cities closer. Setup through AMG to offer your patrons a free ride (up to $20)–first time riders only! Zopim makes it easy for you to automate chats. This lets you reach out and talk to customers before they even ask a question. 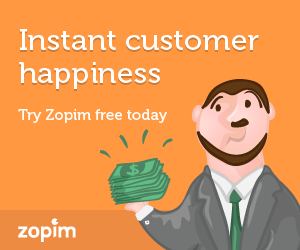 Browse the Zopim Dashboard and focus your efforts on those who need your help the most. Each website has its own unique identity, and Zopim is designed to match. Our customizable Chat Badges allow you to choose from different layouts and themes, or even change the picture completely.